It is not quite an easy task to start a new business. You need to do a lot of homework so as to minimize the loss and maximize the profit. It is not quite an easy task to start a new business. You need to do a lot of homework so as to minimize the loss and maximize the profit. 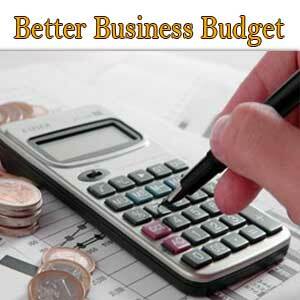 Here are 5 tips which will help you plan a suitable business budget. Gather knowledge about the industry - You will have to be up-to-date with the happenings in the industry. It is true that businesses are not alike, but there are certain similarities. So, speak with business owners, search for information online and try to gather as much knowledge you can, about the industry. It'll help you to plan your business and in turn, you can assess the money you're putting in and the revenue you're expecting to generate. Assess revenue against money invested - Before starting a business, you should carefully assess what percent of revenue will go towards buying raw materials and other miscellaneous costs to run the business. This will help you calculate what dollar amount will be your actual profit at the end of every month. Pay off debt as early as possible - You may have to take out a loan to start a business of your own. But, try to repay the debt as soon as possible. Otherwise, you'll have to make more interest payments on the amount you had borrowed. So, before taking out the loan, calculate whether or not you'd be able to manage the loan and the time you'd require to repay the debt if you get profit as per your calculation. Look for ways to reduce expenses - Often the business owners need to find out ways to cut costs in business. In such a situation, wait till the next billing cycle to make purchases and pay off the outstanding bills with the amount you have with you. Also, talk to your suppliers and take advantage of full credit, if offered to you. Review your business from time to time - Unlike big business organizations, small business owners should review their business on monthly basis. This is because sudden expenses may lower the revenue which you had not previously thought of. So, reviewing your business budget may keep you aware of such incidences and you can change your future plans accordingly. Another important aspect of business budgeting is that you shouldn't spend all your profit. Even if you're doing the business from your home, allocate a definite monthly amount for yourself as a wage. If you make more profit in a month, keep that extra money aside for in times of need. Doing so, you'll be able to cover the loss if your sales go down a month. Following this strictly will help you remain stress free and be a successful businessman.